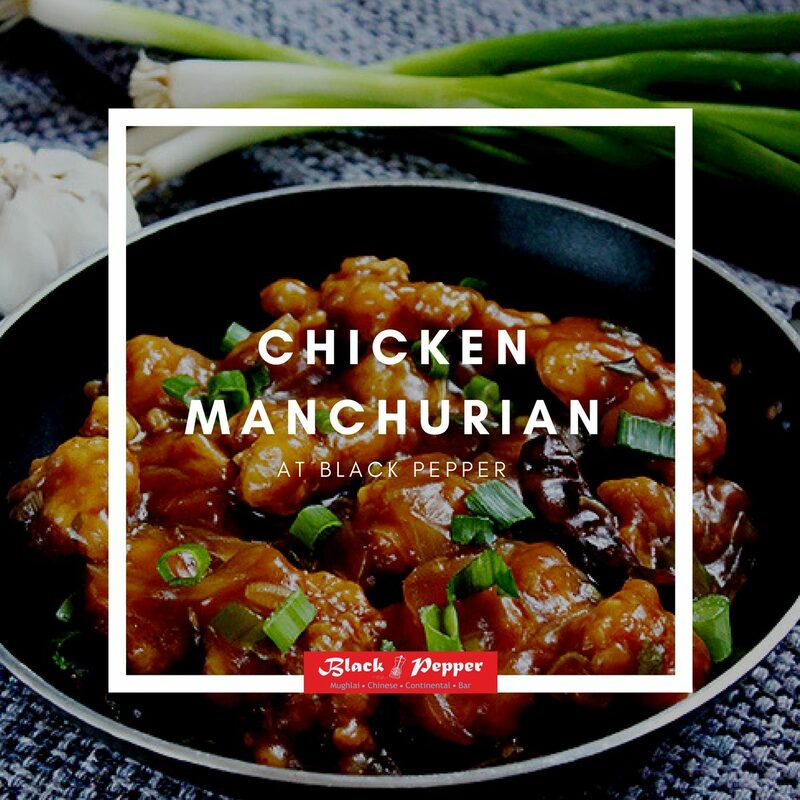 Chicken Manchurian is an extremely popular, spiced up Indo-Chinese, Non-Veg starter. An absolute delight for those who are fond of Chinese Cuisine and apparently a dish which is quite simple to cook even at home. We would like to share the Recipe for Chicken Manchurian with you. So here’s the perfect opportunity for you, to go ahead and boast of being a Terrific Chef among your family and friends. Add the fried balls, turn around a few times. The Chicken Manchurian is now ready to be served. You can also try out this delicious starter at Black Pepper Restaurant in Dehradun. Black Pepper offers you the best Multi-Cuisine and Fine dining experience in the city. It is listed among the top Restaurants in Dehradun and also an established name among wedding caterers in Dehradun.